We had a good lesson tonight, which saw another two firsts – we started to work in a slightly higher frame, raising Maddie’s poll. And we also had the beginnings of a stretchy trot! Things were good right out of the gate – it was chilly and Maddie was more forward from the get-go. She felt great – light, responsive, and on the bit. 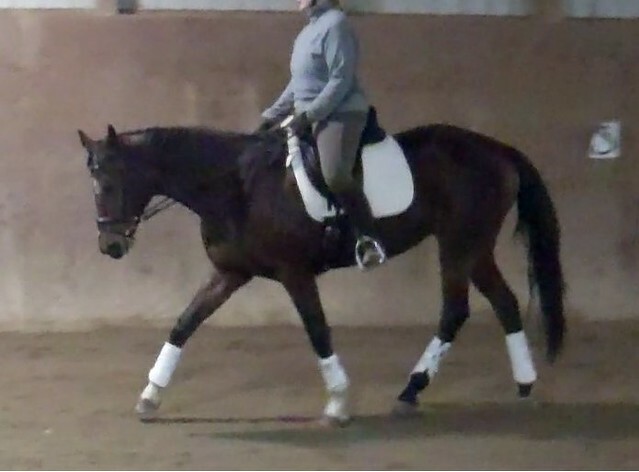 I love how supple she’s becoming – I can bend her gently while trotting simply by tightening one hip flexor. This is useful, because it enables me to quickly flex her this way and that, while staying out of her mouth. I can also bend her pretty quickly into the outside rein if I need to re-establish contact. So things were looking good straight away. Even warming up, Mads was steady, even and enthusiastic, before I even asked for much. 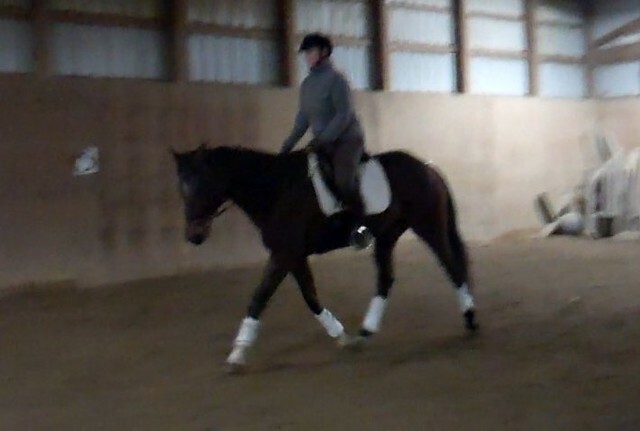 Christy took advantage of the nicely forward horse, and we worked on adjusting within the gait, and especially on covering more ground with our “big” trot. We used the short sides to rebalance, using half halts to shorten Maddie’s stride. Then, on the long side, Christy had me focus on increasing the scope of my post, working in a slight pause at the top of my post. Doing so, according to Christy, gives the mare more time to cover ground. I think we’re getting close to an extension. Dare I hope? Maddie fussed a bit as we worked uphill, and Christy advised me that I’ll need to pay attention to letting her stretch on my terms. She also reminded me that this work is hard for Mads, who isn’t used to carrying herself this way. I’m going to be taking more weight in the reins – and I’ll need to hold it. 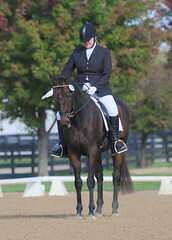 And I’ll have to work more stretch work into our schooling, to reward and rest my hard working buddy. 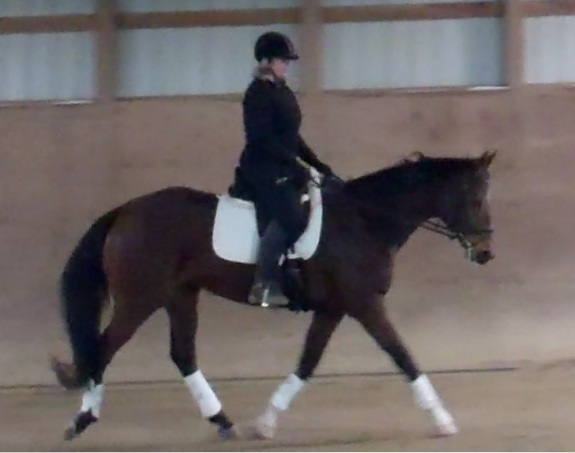 So, we started to practice stretching at the trot – again, something totally new. This was a brilliant lesson, and a great confidence builder, moving me out of my comfort zone in terms of riding more forwardly, and in terms of stretching. 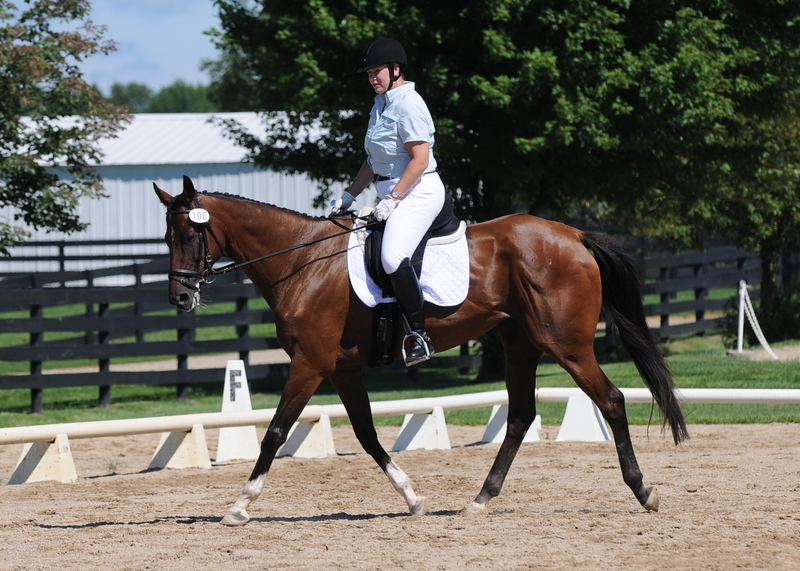 I was reminded of another friend who when working on stretching her mare at the trot and canter was told to “be vulnerable.” That’s certainly what it feels like to me… but that stretch work feels pretty good.